At Dover Dental, we believe that one of the most important things you can	do is keep up with your six-month checkups. We give you a comprehensive	exam which includes X-rays so that we can get an idea of your overall	oral health. You will have all the essential facts to be informed of your	health and how we can further serve you. 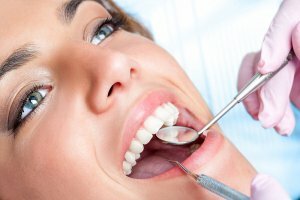 Our staff of dental care specialists	can help prevent any problems from progressing. We provide very thorough examinations and treat each patient according	to their individual needs. At no risk to you, you can make an appointment	and have us take a look. Our dentists will give you helpful feedback and	recommendations to achieve your dental health goals. Call us today for a free consultation at (949) 548-0966!